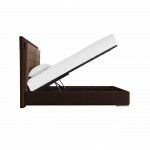 C-MAX model bed, completely covered in removable fabric cover. Large headboard. The C-MAX double bed has a stately headboard with a pair of large removable quilted pillows, held in place with slots and Velcro. 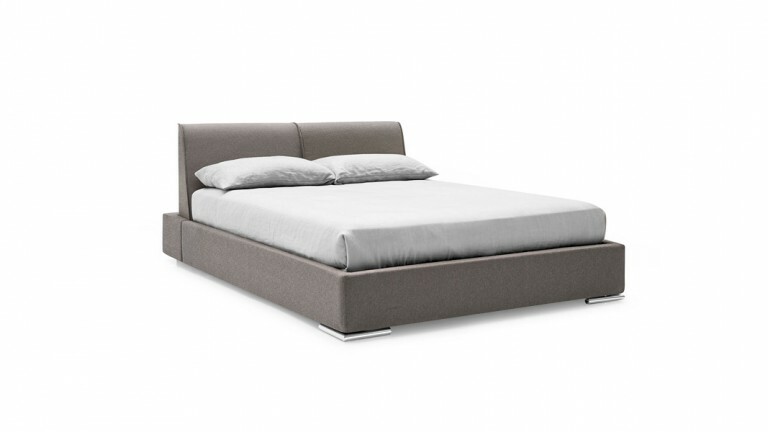 The padded bedframe and chrome-plated metal base on the side of the footboard further enrich its aesthetics. 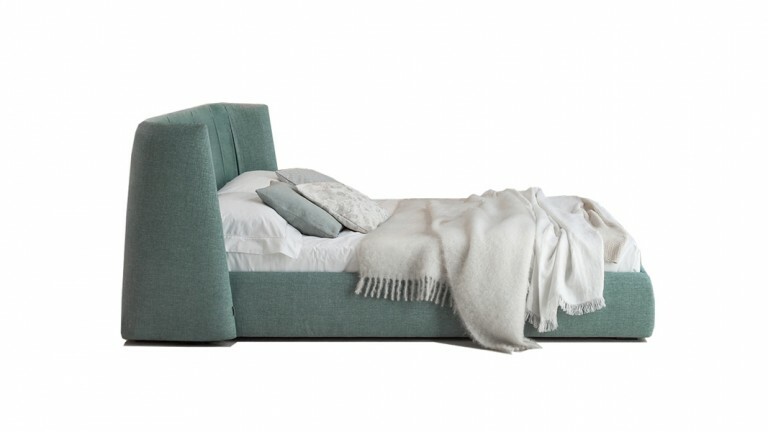 Completely covered in removable fabric, the C-MAX double bed stands out as the protagonist of the bedroom. C-MAX model bed, fully upholstered. Large headboard and storage unit. The C-MAX double bed has a stately headboard with a pair of large removable quilted pillows, held in place with slots and Velcro. 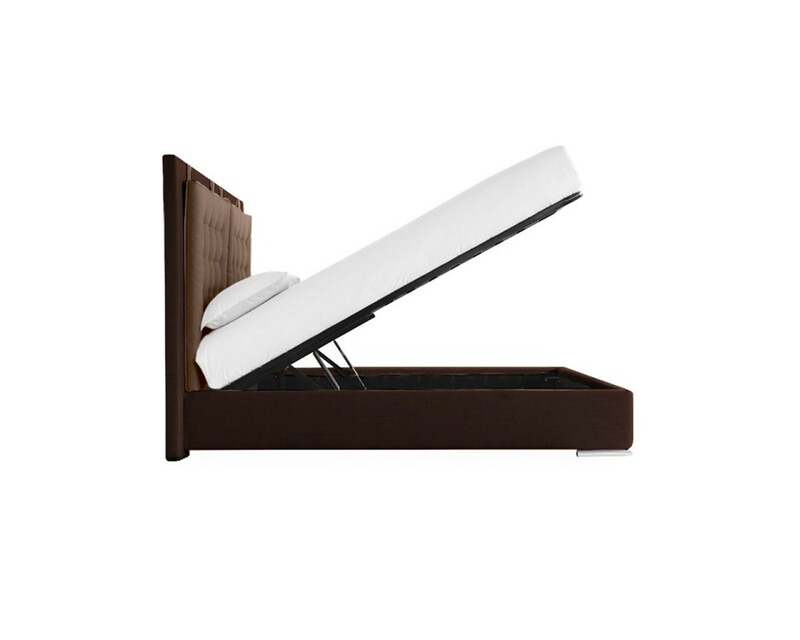 The C-MAX bed is also equipped with an ample storage unit, easily accessible thanks to a gas-piston mechanism lifting the bed slats. 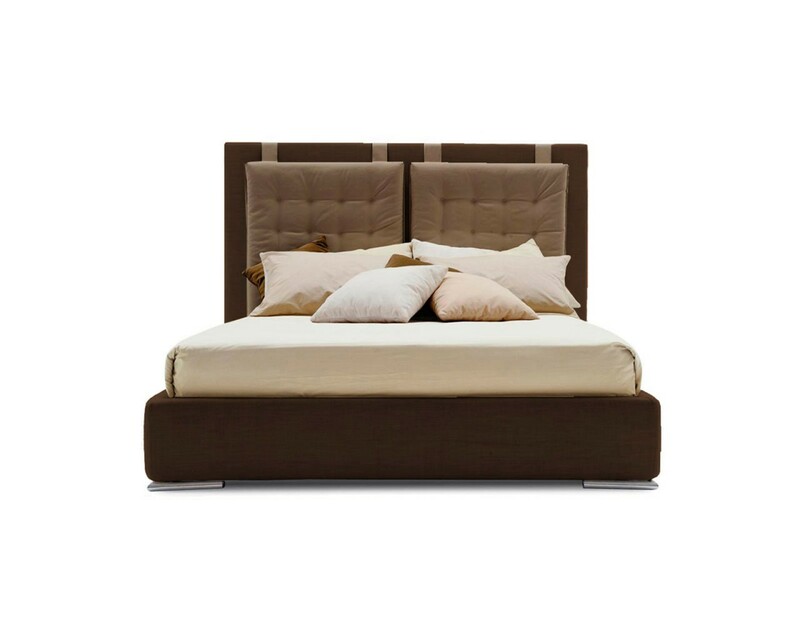 The padded bedframe and chrome-plated metal base on the side of the footboard further enrich its aesthetics. 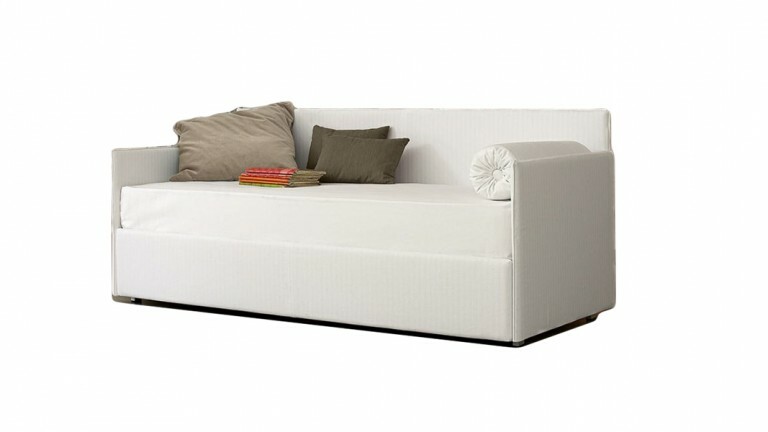 Fully covered with a removable fabric covering, choose it as the protagonist of your bedroom.